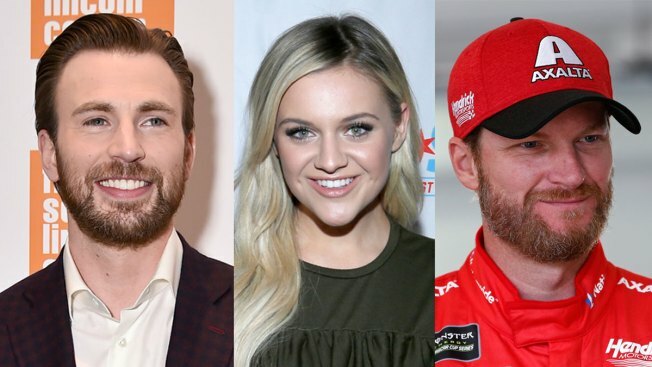 Chris Evans, Kelsea Ballerini and Dale Earnhardt Jr.
A Tennessee woman's video of her tearful son recounting being bullied at middle school has prompted a wave of support from athletes and entertainers. In the video, which Keaton appears to had taken down by Monday morning, she said other students call him ugly, make fun of his nose and tell him he has no friends. He said milk was poured on him and ham was put down his clothes. The video had more than 18 million views as of Sunday, and a crowdsourcing page for Keaton's future education had raised more than $29,000. Actress and singer Hailee Steinfeld posted a video on Twitter, inviting Keaton to the world premiere of "Pitch Perfect 3" on Tuesday. Actor Chris Evans, known for his role as Captain America, retweeted the video and said "Stay strong, Keaton. Don’t let them make you turn cold. I promise it gets better." Evans then invited Keaton and his mother to "The Avengers" premiere in Los Angeles next year. Kevin Jonas, Cardi B, Millie Bobby Brown, Eva Longoria, Orlando Bloom and Romeo Beckham also offered their support. Demi Lovato reminded Keaton that he's "not alone," and said, "There are so many people who come out of bullying so much stronger and you will be one of them!! God bless you sweetheart."